"Great for all types of fire"
Holds 1.00 cubic meters (m3) of logs. At current prices is £115 per m3 for two bags. It is cheaper still for four bags. It is the best value and most popular bag size. Holds 0.6 cubic meters (m3). Is still competitive at £121 per m3 for two bags. Takes up less room (just). 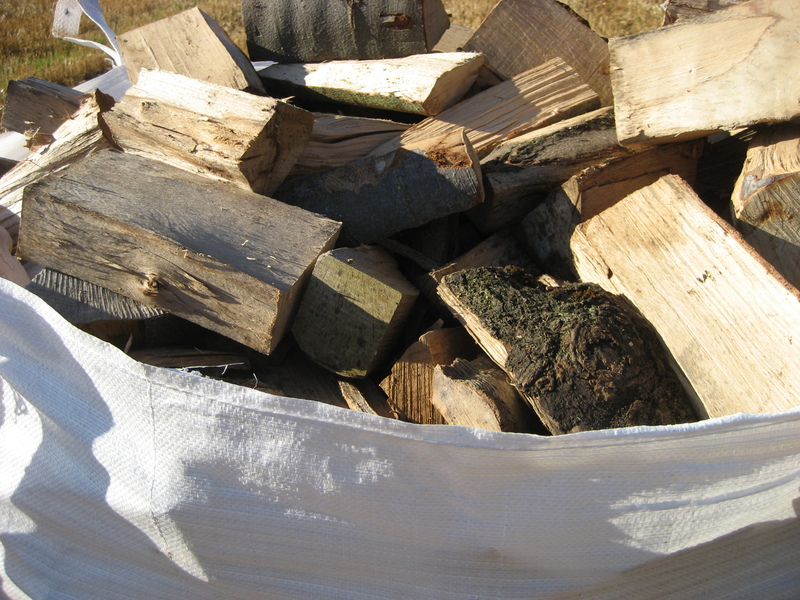 Why not try a standard bag of softwood to get the fire going. They are completely sustainable. Every tree harvested is replaced by a seedling planted or regenerated. They are zero mileage; the timber has only travelled from our woods to the processing yard. We deliver dry and bagged logs and aim to leave them right where you want them. Our woodland is responsibly managed under UK Woodland Assurance Standard. Certification No SGS-FM/COC-000260-198. Our dry logs burn efficiently, they deliver more heat, waste no energy burning moisture and stay in longer. 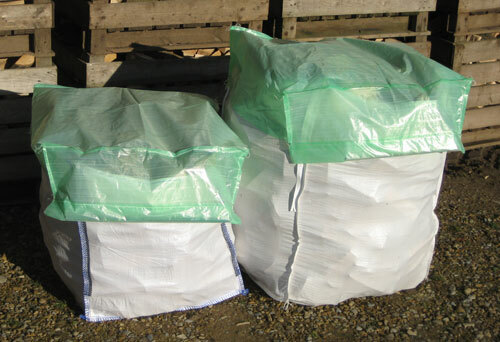 We bag our logs so they are mess free, we even have a lid if you want so you can store them both inside and out. 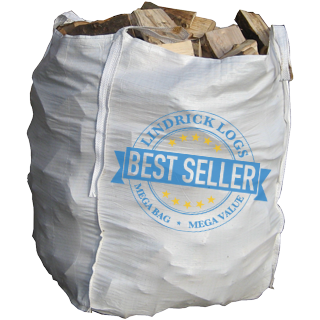 We have two bag sizes the mega bag holding 1.00 m3 of logs and the standard bag which holds 0.6 m3. 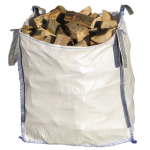 Our bagged, dry logs are ‘A Burning Sensation’, try them. They are also certified by Woodsure which defines their quality. Please click on the link for more information.